I was turned on to Dr. Hausckha’s 100% natural and high quality skin care products a couple of years ago and haven’t looked back since. Dr. Hauschka Rose Day Cream is a best seller and contains petals of 30 roses in each tube – no chemicals, synthetics, no nasties! Roses are known to be anti-inflammatory and this moisturising day cream is perfect for sensitive and/or irritated skin. Smells gorgeous too! I discovered Forest Essentials earlier this year whilst on a trip to India and it has already become one of my favourite health and beauty brands. 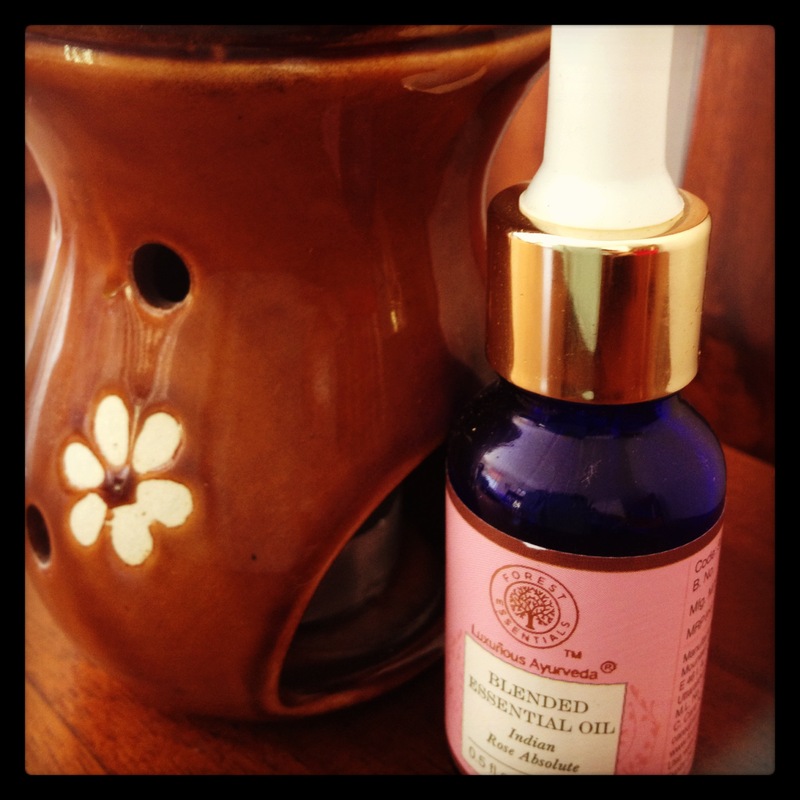 Their skin care products are spectacular but my newest obsession is the Indian Rose Absolute diffuser burner oil. Rose oil is used widely in aromatherapy to promote a feeling of harmony and balance as well as alleviate a number of health concerns including headaches, allergies and asthma. Forest Essentials Indian Rose Absolute Oil has a sweet, subtle fragrance that lingers for quite a while too. I have run through half a bottle in just a couple of weeks and still can’t get enough! I am currently also using the Forest Essentials Indian Rose Absolute Hair Cleanser which is just as addictive! I can’t live without hand cream and love the gorgeous range over at Crabtree and Evelyn. The Rosewater hand cream, in particular, smells divine and is moisturising without being annoyingly greasy. Pretty packaging (which I can’t resist!) and a perfect size for the handbag. These are just a few of my favourite rosy, pretty things…what are some of yours?